After following the Mooc by the BBC on Shakespeare I decided to assign my students the same task I had been assigned during the online course. After watching this video I created a Padlet and the students had to record their voices and choose some lines from the play Romeo & Juliet. “Have you ever wanted to play the part of Juliet? Take this opportunity to record one of Juliet’s speeches above by following the advice below. Go to http://www.vocaroo.com. You’ll need to have a microphone on your computer and allow vocaroo to use it. When you are ready, press Record. Record a short sample of your speaking. Please don’t record for more than a minute. When you have finished your recording, you will get a link. If you want to, you can share the link in the Padlet and let other users listen to your speaking”. 2016 commemorates 400 years since the death of William Shakespeare. Therefore he’s being celebrated all over the world! We must join the celebration and partecipate by doing something creative. First it’s important to start knowing the Bard. LESSON 1: Approximate time 1 hour. If you’ve asked yourself the question. “Why do we have to study Shalespeare?” here you’ll find some answers. Why study Shakespeare? CHOOSE 3 REASONS write them in your notebook or copy them using EVERNOTE ( a virtual notebook) and bring them to class. 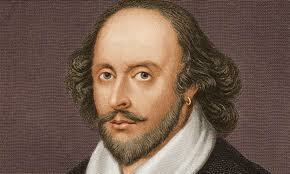 1) Watch Shakespeare ‘s short biography. It gives the key events of Shakespeare’s life and work. I would like to start this second part of the post by sharing with you the magazine Gallant Gossip created by a class of mine some years ago. I’m still so proud of it! Originally it was just printed as a booklet of paper like the copy I showed you in class. Then I created the on-line version. Reading it is a must as it will inspire you all for our next creative writing activity that, as for now, I want to keep secret. I’ll bring some copies in class. 2) Photos of the Globe theatre: http://www.wfu.edu/~tedforrl/shakespeare/globe.htm and if you like take a virtual tour of it. (The virtual tour requires the free Quicktime plugin for your browser but you can download it from page). It’s like being inside the theatre during a show! If you’ve got an iPad you can download the app and visit all sections of it. The app is free but to access all areas is 0.99€. 3) In the future, after studying some of his works, should you doubt about the existence of Shakespeare as the dramatist who wrote Shakespeare’s plays read this: How We Know That Shakespeare Wrote Shakespeare: The Historical Facts. There’s also a movie Anonymous that claims he didn’t write his plays. Last but not least, for the MUSIC LOVERS this website offers you Shakespeare’s works through music. Let’s end this post with Shakespeare’s … dating tips so that you can get ready for your St. valentine’s day 🙂 If you register you can also do the activities (multiple choice ex. ) on the video here. Enjoy! a list of the 13 words you didn’t know were invented by Shakespeare!